"I specialize in helping you deal with anxiety, fears, phobias and past traumas"
Although I can help people with other emotional and mental health issues, I specialize in anxiety, fears & phobias, removal of chronic physical pain and emotional support for people who are undergoing treatment for serious physical illnesses. Everyone of us is an individual and I place my clients right at the centre of what I do, so no two sessions will ever be exactly the same. 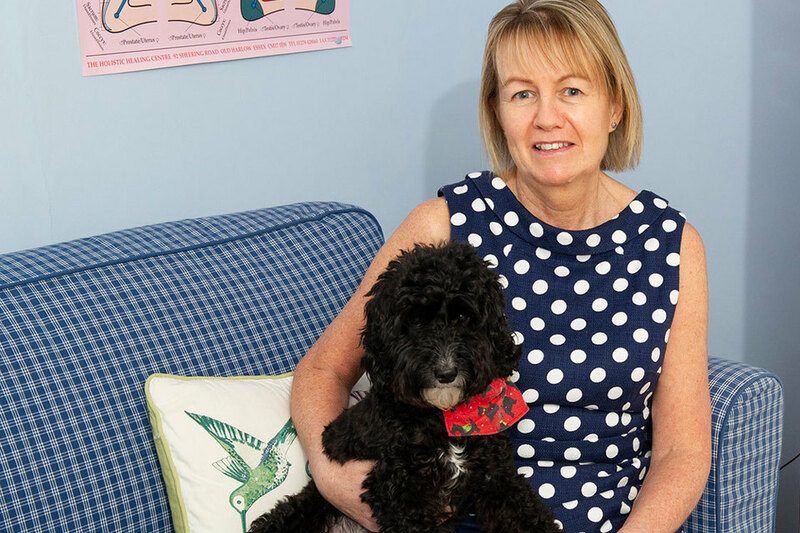 With 25 years NHS experience and a wide range of techniques & therapies to chose from I work to enable my clients by teaching them skills they can use for themselves. If you are struggling with anxiety fears and phobias whether linked to a known past trauma or even if you are unaware of the cause then I can help you to identify and address the underlying reasons for this and assist you to move forward so that you can be free of fear and enjoy life to the full. It really doesn't matter if the issue relates to socialising, driving, flying, dentists, eating in public or even if its a generalized anxiety with no obvious trigger, there is light at the end of the tunnel and hope for the future. As well as clearing traumatic memories that are stored in your subconscious mind, I draw on a large “toolbox” of techniques acquired over the past 30 years as a mental health nurse all focussed on empowering you to manage anxiety in your future life. 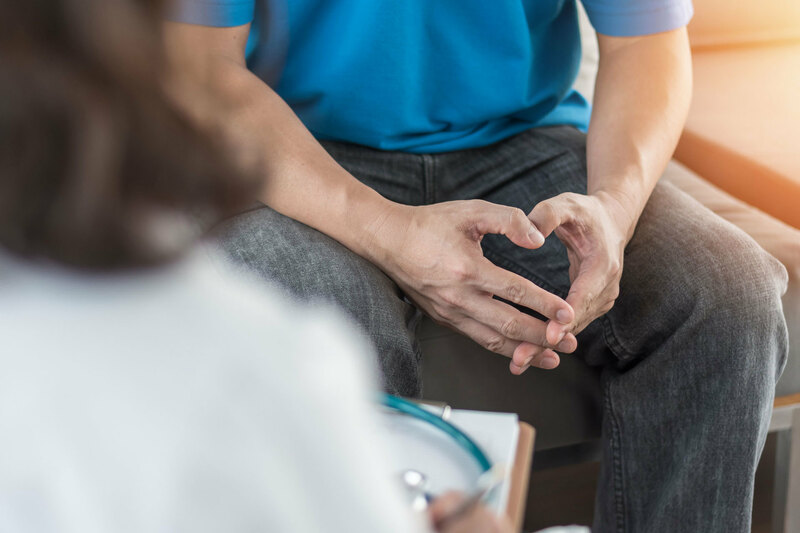 Although I do see people who have a diagnosis of depression in addition to their anxiety/phobia/trauma diagnosis, I only see people for 2-5 sessions and I do not offer counselling or CBT which are both available on the NHS. I would therefore advise anyone with a primary diagnosis of depression to request their doctor refer them to the NHS. I also have a special interest in working with people who are living with a serious physical illness, particularly anyone undergoing chemotherapy treatment. 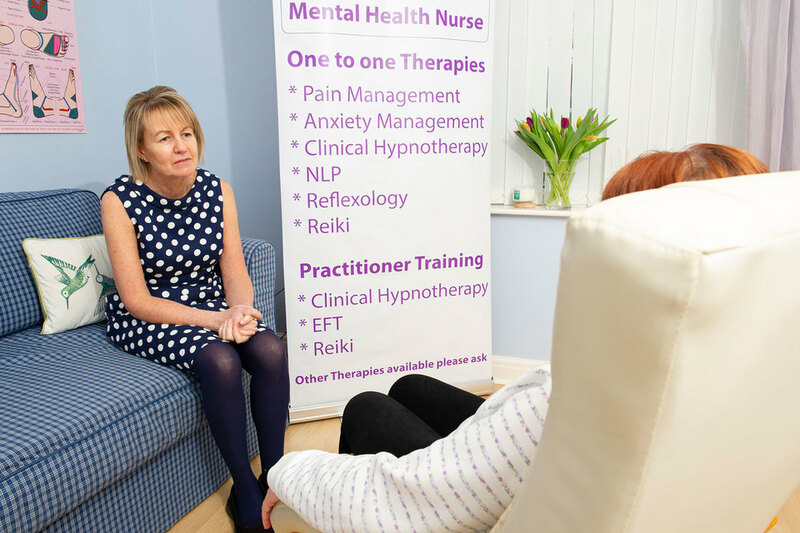 In these circumstances I tend to utilise Hypnotherapy, Reflexology and Reiki, I can see people for as long as they wish and I offer reduced rates for this.